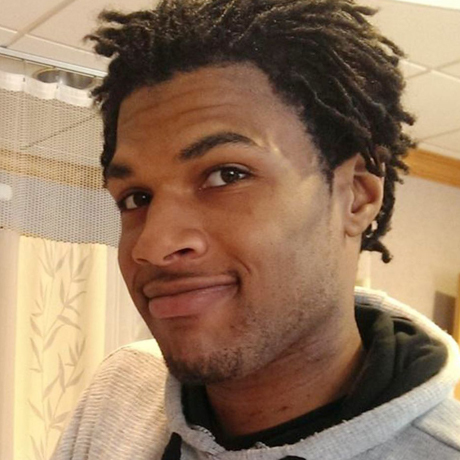 On August 5, 2014, John Crawford III, a twenty-two year old African American picked up an un-packaged BB/pellet air rifle inside a Beavercreek, Ohio Walmart’s sporting goods section, and continued shopping in the store. Another customer, Ronald Ritchie, called 911, stating that Crawford was pointing the gun at people and at children walking by and messing with the gun. Ritchie has since stated, “At no point did he shoulder the rifle and point it at somebody,” while maintaining that Crawford was holding the gun and “waving it around.” Two officers of the Beavercreek Police arrived at the Walmart shortly after their dispatcher informed them of a “subject with a gun” in the pet supplies area of the store. Crawford was then shot and later pronounced dead at Dayton’s Miami Valley Hospital. A second person, Angela Williams, died after suffering a heart attack while fleeing the scene from the shooting. There are different accounts of what lead up to the shooting and Crawford’s eventual death. According to initial accounts from the officers, Crawford did not respond to verbal commands to drop the BB gun/air rifle and lie on the ground, and eventually began to move as if trying to escape. Believing the air-rifle to be a real firearm, one of the officers fired two shots into Crawford’s torso and arm. The shooting was also captured by the store’s security video camera. The video shoes Crawford talking on his cell phone while swinging the BB/Pellet air rifle when he was killed. According to Crawford’s mother, the video shows the officers immediately fired without giving any verbal commands and without giving Crawford any time to drop the toy even if he had heard them. About a month after Crawford’s death in 2014, a state grand jury declined to bring charges against Sean Williams, the officer who shot and killed Crawford. Ronald Ritchie, the 911 caller, was not charged for the misleading call that ended with Crawford being shot and his case was not seen by the grand jury. On September 24, 2014, the U.S. Department of Justice announced it was opening an investigation into the shooting. The investigation remains ongoing and has delayed the Crawford family attorney’s efforts to collect depositions from the officers involved in the shooting. As of September 2016, Michael Wright, the family’s attorney, reported that the federal investigation is getting closer to a possible indictment of Williams. There has been no further announcement. The Crawford family also filed a wrongful death lawsuit in the Southern District of Ohio. While the jury trial was originally scheduled for February 2017, it will likely be pushed back to late 2017. The lawsuit names as defendants Sean Williams and David Darkow, the officers involved in the shooting; Beavercreek Police Chief Dennis Evers; the City of Beavercreek; the Beavercreek Walmart; and the Walmart corporate office in Bensonville, Arkansas. The lawsuit seeks monetary damages to the family. While the suit states $75,000 as the amount sought from the City of Beavercreek, and an additional $75,000 sought from Walmart, that amount is merely the jurisdictional amount needed to file the suit in federal court. The family seeks a larger amount, comparable to monetary settlements from other police shootings. Sherrod v. Williams, Docket No. 3:14-cv-00454 (S.D. Ohio Dec. 16, 2014). Sean Williams was returned to the Beavercreek police force after the grand jury proceeding, though he was demoted to desk duty. In 2015, an advisory panel appointed by Governor John Kasich issued Ohio’s first statewide standards on police use of force, intended as minimum, non-mandatory guidelines for the state’s nearly 1,000 police departments. The goal of these standards is to create trust between police departments and the communities they serve. Police departments in Ohio will have to meet a minimum set of statewide training standards and, though there is no punishment for agencies that do not adopt the policies, those who do not adopt will be labeled as noncompliant. The Blade, Ohio Urging Police Agencies to Meet New Statewide Standards (Jan. 14, 2017), http://www.toledoblade.com/State/2017/01/14/Ohio-urging-police-agencies-to-meet-new-statewide-standards.html. Diane Chiddister, Still Seeking Justice for Crawford, YS News (Sept. 8, 2016), http://ysnews.com/news/2016/09/still-seeking-justice-for-crawford. The Guardian, Ohio Walmart CCTV Captures John Crawford Shooting (Sept, 24, 2014), https://www.theguardian.com/world/video/2014/sep/25/ohio-shooting-walmart-video. Mark Gokavi, Judge Delays Questioning of Beavercreek Officers in Crawford Suit, Dayton Daily News (July 12, 2016), http://www.daytondailynews.com/news/crime–law/judge-delays-questioning-beavercreek-officers-crawford-suit/TkAmh1MNrjEA3ehk8KmnBL/. Audrey Hackett, Revisiting Crawford, Two Years On, Yellow Springs News (June 30, 2016), http://ysnews.com/news/2016/06/revisiting-crawford-two-years-on. Karin Johnson, Audio of Beavercreek Officers’ Statements After Fatal Shooting Released, WLWT5 (Oct. 14, 2014), http://www.wlwt.com/article/audio-of-beavercreek-officers-statements-after-fatal-shooting-released/3547739. The New York Daily News, 911 Caller in Fatal Ohio Walmart Shooting Won’t Be Charged (Apr. 18, 2016), http://www.nydailynews.com/news/national/911-caller-fatal-ohio-walmart-shooting-won-charged-article-1.2605925. Corky Siemaszko, Kin of John Crawford, Fatally Shot by Cop, Urges Feds to Finish Probe, NBC News (July 28, 2016), http://www.nbcnews.com/news/us-news/kin-ohio-man-john-crawford-fatally-shot-cop-urges-feds-n618911. John Swaine, Doubts Cast on Witness’s Account of Black Man Killed by Police in Walmart, The Guardian (Sept. 7, 2014), https://www.theguardian.com/world/2014/sep/07/ohio-black-man-killed-by-police-walmart-doubts-cast-witnesss-account. Emily Wood, DOJ Close to Indicting Officer Who Shot John Crawford III, WLWT5 (Sept. 30, 2016), http://www.wlwt.com/article/attorney-doj-close-to-indicting-officer-who-shot-john-crawford-iii/4371490.